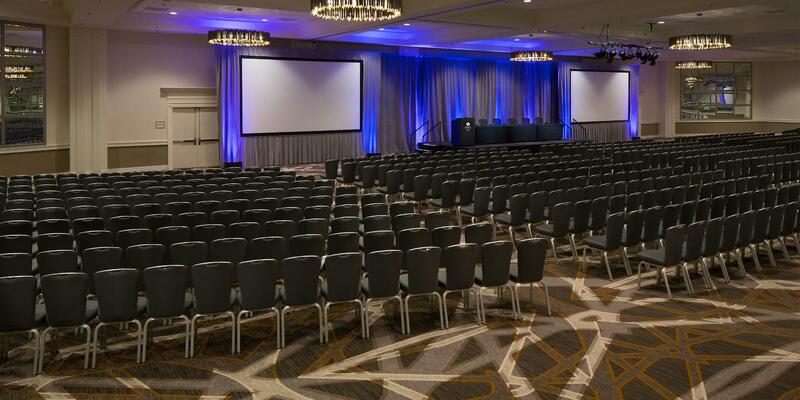 The Hyatt Regency Denver Tech Center is a large convention center hotel located in the middle of Denver, Colorado's business and economic trading center. The hotel lobbies and restaurant had previously been renovated with warm wood tones, clean lines and sleek finishes. 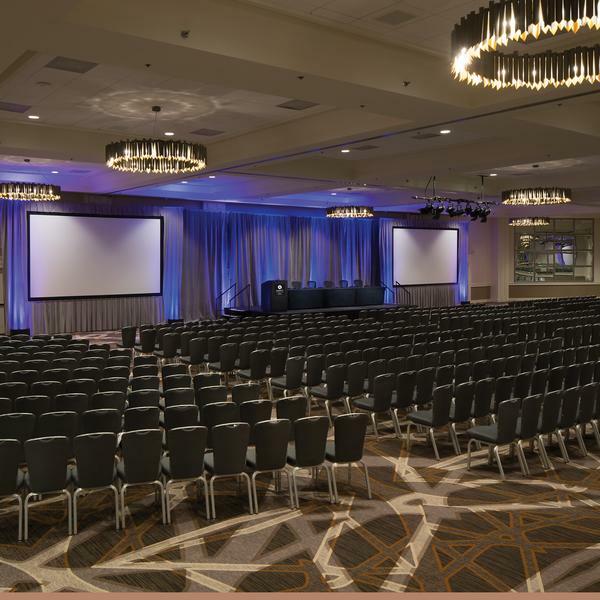 Studio 11 Design was given the opportunity to redesign the Grand Mesa Ballroom, two boardrooms, four meeting spaces and a large amphitheater. The goal was to keep the design consistent with what was recently done in the lobby while still appealing to the large amount of guests who rent these spaces out for various events. 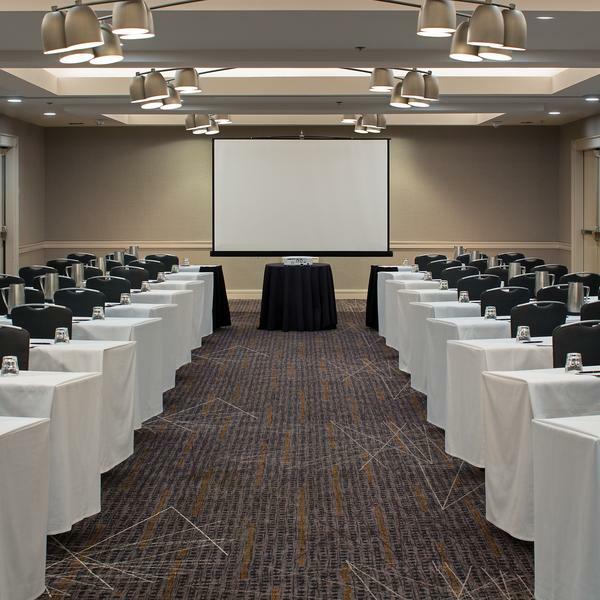 Studio 11 Design worked with Brintons on several new carpet concepts, in which we drew inspiration from the idea of technology in order to convey that the carpet pattern matched the energy level that the hotel currently boasts. 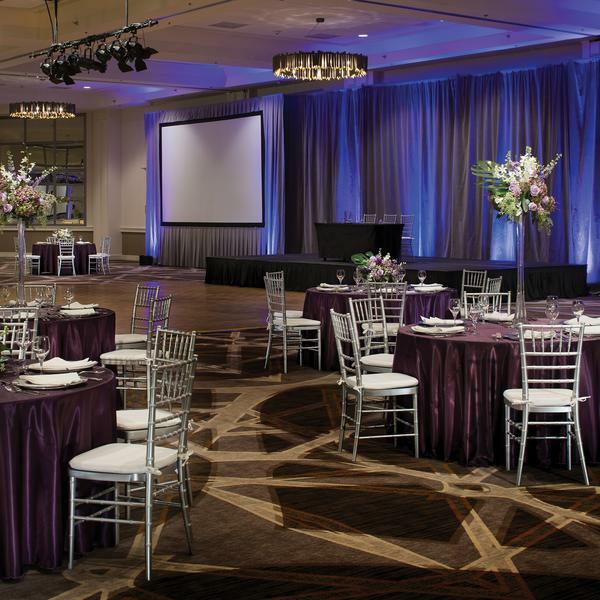 The colors were derived from Hyatt’s existing color scheme, as well as from the natural landscape of Colorado. Lighting was kept modern and updated to reflect the mood of the furnishings in the lobby. We were all pleasantly pleased on the final installation.